Chabad of Harbor Beach is dedicated to promoting and strengthening Jewish awareness, pride, and observance, by providing educational, cultural, and social services to all Jewish individuals regardless of background, philosophy or level of commitment. The fundamental principle of Chabad of Harbor Beach is unconditional love and acceptance of every Jew. 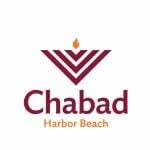 Chabad of Harbor Beach is an affiliate of the worldwide Chabad Lubavitch movement which is a Jewish Chassidic movement and a Jewish outreach organization. It has over 4000 branches worldwide - that embraces the millennia-old traditions of Judaism with a welcoming and modern approach. Chabad's underlying principle is genuine love for and unquestioning acceptance of every Jew. Rabbi & Mrs. Lazer and Micah Perlstein, directors of Chabad of Harbor Beach, welcome you to join our many programs and services. Jews — from all backgrounds and affiliations — are the constituents we serve. Chabad prefers to ignore the unhelpful 'labels' that so often serve to divide us. "A Jew is a Jew." We are one people, we have one Torah, we have one G‑d and one land. Chabad endeavors to bring unity among the Jewish community through our common bond of Jewish faith and observance. There are no prerequisites for getting involved with Chabad. Whether you are affiliated or not, whether you have much Jewish background or none at all, you are always welcome to benefit from our programs. We are here to serve you and your family. You need not be a member at Chabad; you need not agree with everything Chabad says. If you're Jewish, you belong at Chabad.